goITics » 4 Reasons Why Windows XP Users Should Switch To Lubuntu! It’s the end of an era. On 8 April 2014, almost 13 years of official support for the much-loved Windows XP will come to an end. Even as the world prepares to bid adieu to the renowned OS, a new survey conducted by Tech Pro Research has revealed that almost 11 per cent of organisations that lived and breathed on XP will eventually switch to Linux. Lubuntu for instance is a free, Linux-based operating system that supports a wide range of computers and hardware. Lubuntu is a lightweight Linux operating system based on Ubuntu but using the LXDE desktop environment in place of Ubuntu’s Unity shell and GNOME desktop. LXDE is touted as being “lighter, less resource hungry and more energy-efficient”. Like Xubuntu, Lubuntu is intended to be a low-system-requirement, low-RAM environment for netbooks, mobile devices, and older PCs. Tests show it can use half as much RAM as Xubuntu, making it an attractive choice for installing on older hardware being refurbished for charitable distribution. The name Lubuntu is a portmanteau of LXDE and Ubuntu. LXDE stands for Lightweight X11 Desktop Environment, while the word Ubuntu means “humanity towards others” in the Zulu and Xhosa languages. 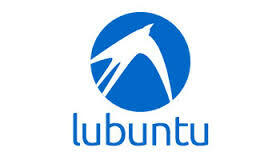 Lubuntu received official recognition as a formal member of the Ubuntu family on 11 May 2011, commencing with Lubuntu 11.10, which was released on 13 October 2011. Here are 4 reasons why Windows XP users should switch to Lubuntu! 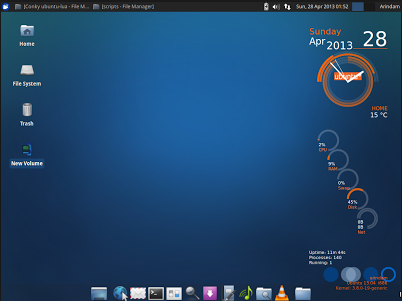 Lubuntu 14.04 is due for release this April. The release will come bundled with critical bug fixes and security updates until probably 2017. Following 2017, you always have the choice to upgrade to the next major release for free of course! You don’t need to install anti-virus or malware protection software on Lubuntu unlike Windows. Being Linux Lubuntu makes it very hard for viruses to run. Until and unless you install some suspicious software, you’re virtually immune to any sort of threat. One look at Lubuntu and you’ll be reminded of Windows XP’s layout. There’s the familiar ‘start menu’, and the ‘Quick Launch’ as also the ‘System Tray‘ and clock toward the end. A good many number of applications you’re used to using on XP will be available on Lubuntu. -For browsing the web there is Mozilla Firefox installed by default, Skype is available for video calls and so on. -Microsoft Office isn’t available natively on Linux, but there are a set of office applications that are compatible with Microsoft Office documents.